Will There Be Anyone Left To Vote? THE GOOD NEWS about this attempt at an Atwater Village Neighborhood Council election is the record-qualifying candidate turnout: 34 candidates for 14 seats. (PDF here.) Signs for the Oct. 6 election, in English and Spanish, are unavoidable. And we have a candidate forum, Oct. 4, 6:00pm at Glenfeliz Elementary School Auditorium (3810 Hollypark). The bad news is the other forum, AVNC's online forum. Official word is it was "closed by the Independent Election Administrator because of 2 (extremely) inappropriate postings in the Election category." Sound familiar? This Administrator is getting good at shutting things down. Like the last election. In its entirety. In February Walt Sweeney trashed $12,000 of election prep over grammar corrections on the AVNC Web site. This time, grammar it ain't. It's the AV Enquirer, who comments sometimes on my Newbie blog, and may have penned the "inappropriate" posts at AVNC. But if the posts were libelous or revealed personal information, let's say, why wouldn't the Administrator just ask for them to be deleted? Why shut down the entire forum? The forum is as much about nannies and pizza places and crime than this election anyway. 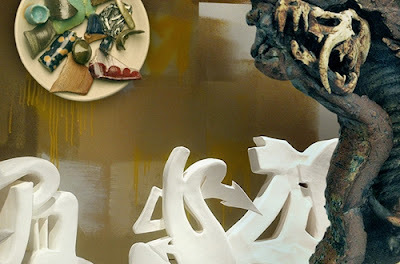 LittleBird Gallery is at 3195 Glendale Blvd., in the hipsterist strip of Atwater Village. More at littlebirdgallery.com. WHAT WAS AN OFTEN lively if sometimes petty and etiquette-free neighborhood forum has been "removed." 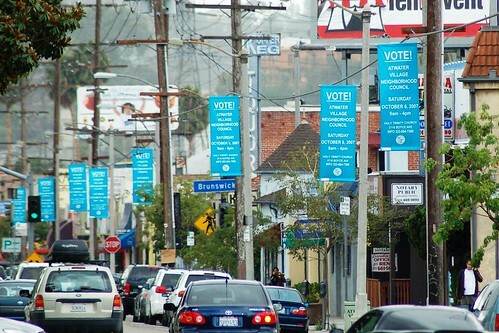 The host site belonging to Atwater Village Neighborhood Council offers no explanation. Please say this isn't election related. It's one thing for candidates to fire potshots at each other. It's another thing to shut out all 8,000 voters. Do we have to cancel another election, or are we all gonna play nice this time? 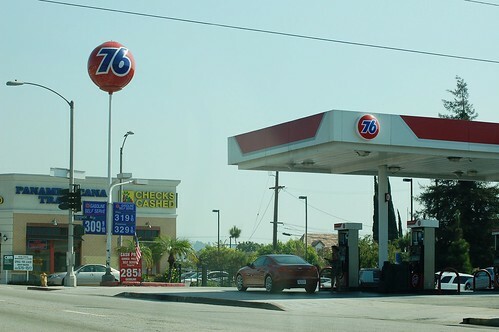 New 76 Ball, and Red, originally uploaded by Atwater Village Newbie. NOTES TAPED TO SOME doors and gates warn of impending shootings on a movie set in Atwater Village this week. The "single shot" gunfire is expected indoors and outdoors on Brunswick Ave.
For anyone who didn't get the note from Film LA: duck! AVNC Election: Saturday, October 6, 9am to 4pm, Holy Trinity Church, 3716 Boyce Ave.
And what's that clothing shop moving into the old Mini Melt comics and toys location on the LFB? For 4+ years I lived in the northeast Los Angeles neighborhood Atwater Village. Contact atwatervillagenewbie [at] gmail. Where in the World is Atwater Village?